Arrive at your hotel, your home for a three night Special Stay located in the heart of Siem Reap. Spend the day at leisure until your welcome briefing and dinner. 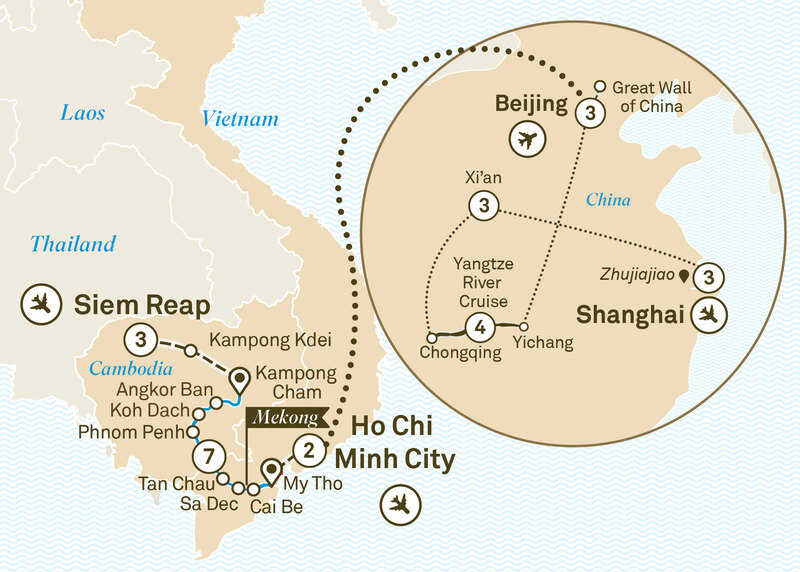 Fly to Beijing, China via Hong Kong for your next adventure. Settle into your luxurious hotel, within walking distance of the Silk Markets, for a three night Special Stay. Your wonderful journey starts with a welcome feast of Peking Duck.